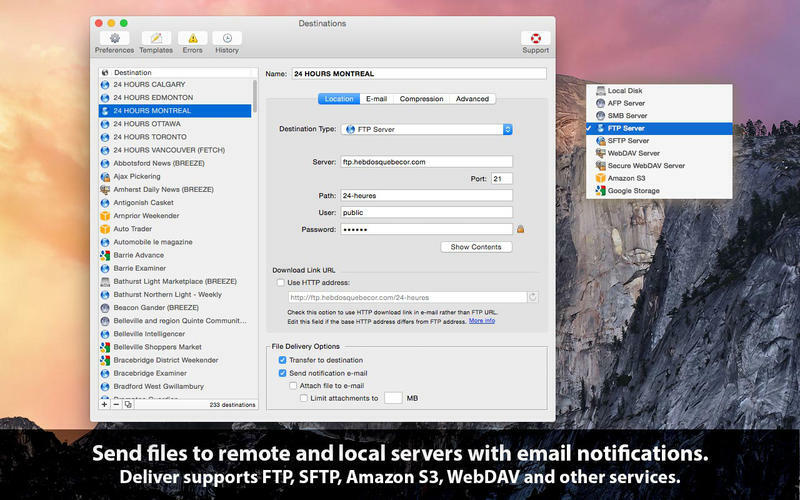 Deliver is a complete solution to send files across the Internet and local networks with email notifications. 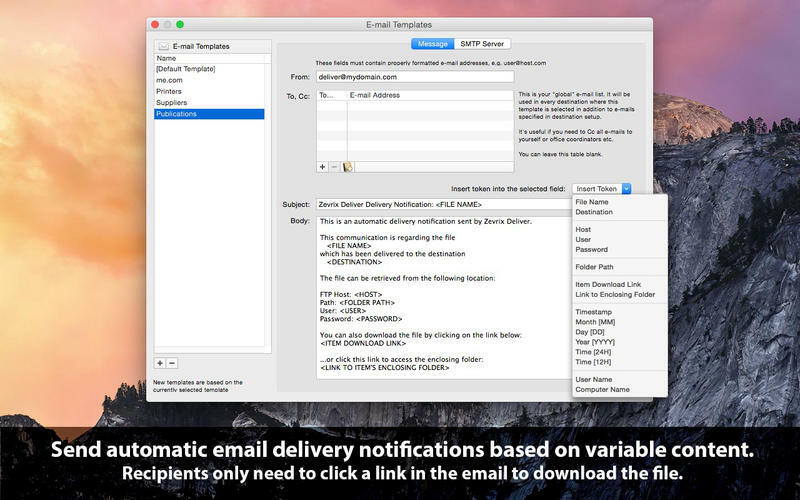 It supports FTP, SFTP, Amazon S3 and other major services, and offers automatic email delivery notifications, compression, delivery to multiple destinations and much more. 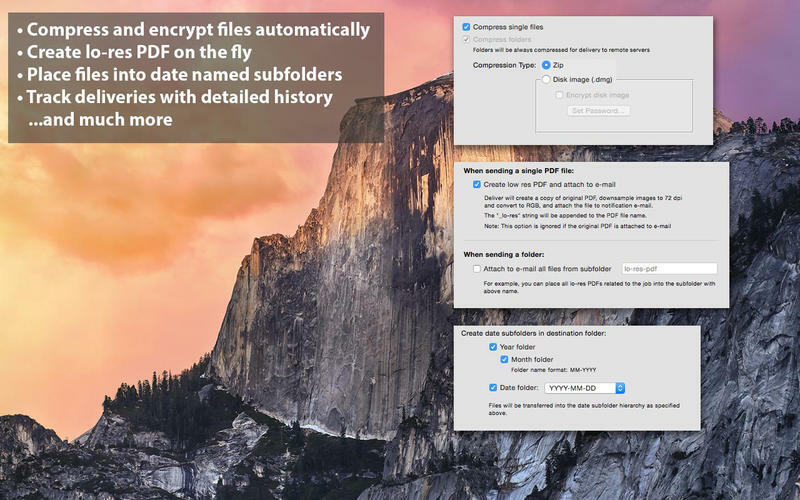 A hot-folder version of Deliver, Deliver Express, is also available.